In 2011 he released his book, ‘The Evidence, However, Is Clear…The Seroxat Scandal’ which is a powerful and explosive account of his experiences taking and withdrawing from the antidepressant Seroxat. He is a rockstar of the movement to expose the truth about psychiatric drugs, to many he is a hero and to some, he is an uncompromising agitator. His blog has been viewed over 2 million times and he is respected by many and also well known by the pharmaceutical regulators and many of the pharmaceutical manufacturers too. I was keen to ask Bobby about his own experiences of the mental health system, his research and campaigning over the years and his relationships with the UK and US pharmaceutical regulatory bodies. Next articleTrust Falls – Are We in a New Phase of Corporate Research? If the Regulators and the MHRA are not acting, then what’s in it for the MHRA and the Regulators? Are The UK Regulators totally funded by the Pharmaceutical Industry? (I know all about Akathisia. I had a series of drug induced suicidal hospitalizations during the 1980s. I’m trying to clean my “mental health records” up at the moment, and I’m finding each regulator to be more dishonest than the next). I got Well like you, through carefully moving away from prescribed drug dependency. Hi Fiachra, thanks so much for listening. I’m very glad to hear that you put the drugs behind you. In the UK, all of the MHRAs funding comes directly from the Pharmaceutical industry. In the US, I believe that more than 75% of the FDA budget is Pharma funded. Also, as Bobby reminds us, many senior positions in both organisations are filled by ex Pharma executives. It’s difficult to see how these regulatory bodies are not unduly influenced by the pharmaceuticals. It’s also very difficult to see how they can represent patient interests. In many cases it has taken repeated Freedom of Information requests to get at the data that they use to approve the drugs, including the unpublished trial results. Thanks for getting back, I do see what you mean! What about the other UK “Regulators” like The Information Commissioners Office, The UK Ombudsman, The General Medical Council, NICE etc.? My experience of (Suicidal) Akathisia was one of movement problem, but also one of Very Severe Mental Distress. 3. 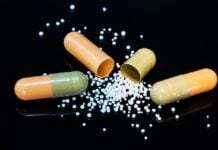 The common food stuffs/herbs/spices and drugs/ drug interactions which inhibit/block the liver enzymes (Cytochrome P450) thereby causing the extreme state Akathisia. Excellent work Bobby. Well done. Keep it up. Slay the dragon of psychiatry. It was a pleasure to talk about the advocacy work I do. Since its launch on Mad in America, I’ve received many emails requesting for opportunities to write guest posts on my blog. I will answer them all soon. In the meantime, can I just reiterate that I accept personal accounts, in the main, about withdrawal effects from SSRIs and SSRI related suicides. Obviously, I take these personal accounts at face value and on good faith. I think it’s important that people write about their experiences and, hopefully, offering a platform to allow this will help people find a small grain of peace in their lives and also warn others who are contemplating the use of SSRIs. Once again, thank you to James and the Mad in America team for allowing me to ‘vent’ via these brilliant series of podcasts. The urge to smile at the GP’s suggestion of a benzo to get through a blood test, was taken away by the fact that akathisia is also condition of benzodiazepine withdrawal. Seen on the British National Formulary as: toxic psychosis. 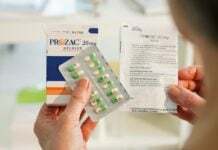 Possibly even more prone to cause akathisia because diazepam (valium ) is prescribed: ‘as needed’ which means if taken for longer than a few weeks the patient will be going into withdrawal and hence will be on the road to higher and higher doses and more and more prone to go from severe anxiety to withdrawal akathisia. If I remember correctly, the insert information blames any addiction on an underlying ‘personality disorder’. There’s an Official incentive in avoiding the SSRI issue, but I think its opening up. I’ve never been one to follow that mantra. I’ve seen and wrote about many people who would probably still be alive today if they had not been prescribed these types of meds. I wish this craziness would just stop. I wish Dr’s would wake up and take what their patients have to say as the truth. I wish we had a regulator in place that could show some backbone too. Sadly, none of the above will ever be achieved if we just shrug our shoulders at this problem. I guess we all have a duty to keep banging the drum. Unfortunately in mental health medicine, Dr Shipman is always lingering somewhere in the background. The body converts glutamate (major excitatory neurotransmitter) to gamma-Aminobutyric Acid (GABA major inhibitory neurotransmitter) using the active form of B6 and the enzyme glutamate decarboxylase. It is entirely possible – if there is a polymorphism of the enzyme doing this job or the body can not express or use the active form of B6 – a chemical imbalance will happen outside of one which is drug/alcohol induced. This – it seems – does not mean the body will accept any external tinkering about by drugs, clearly it will not. Thank you for this outstanding podcast series: Sharing personal experiences and accurate data helps inform, inspire and build collaborative communities of global citizens dedicated to others’ well-being. Akathisia is a serious ADR causing much suffering and death. 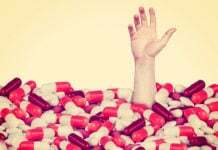 It is buried under the rug by regulators, Pharma, doctors, and “mental health” organizations because if drug consumers knew more about akathisia, they would be less likely to consume. This systemic concealment led to the burial of my child who was destroyed by akathisia and unnecessary prescribing. Since Natalie’s death, I’ve been fortunate to meet dedicated people who productively advocate for drug safety and transparency. Bob is one of these tireless activists and undoubtedly a “rock star” in my book. “Mental health” and “suicide prevention” organizations with strong pharma ties don’t want akathisia awareness. They’d prefer to see mothers of dead children buried in grief and shame, hanging our heads on the sidelines wearing a scarlet A for Anonymous. But blogs like Fiddaman’s empower parents to publicly share our blood-stained scarlet A for Akathisia. Heartbreaking, with echoes of my own experience but somehow managing to escape the suicide. The doubling down on the ‘medication’ bit seems to be the protocol–where do they get such outlandish advice? The drug reps? My mission in life at this point is to educate as many as possible about these horrible drugs. I grieve for all the losses incurred as a result of the profit motive. Isn’t it funny what is considered to be ‘normal’ (profits more important than life)? Natalie was a stunningly beautiful young woman of such great intelligence. When I first read your online account on David Healy’s blog I, as you know, commended your writing skills. As fate would have it we met and, the rest is history, as they say. You’ve been a shining light for me and your courage in the face of adversity serves as a constant reminder to us all that we each, individually, have a part to play in protecting future generations. I’m happy we continue down this road together. The last two years I have seen more online references to the horrific toxic effects of a drug induced Akathisia. When I was on psyche drugs my extreme Akathisia got diagnosed as mania. I couldn’t sit still, I couldn’t lay down, I paced the floor for hours on end, I couldn’t sleep, I had an internal panic and extreme fear that never abated. I had a chance consultation with a neurologist who diagnosed me with Akathisia and he said it was the worst case he had seen in his entire career as a physician. My prescribing psychiatrist was clueless about drug-induced toxic effects. This opened up a door for me to realize what the psychiatric drugs were doing to me and I made a permanent exit from anything psychiatry. Thank you for highlighting Bob’s work. After reading this I went to his blog and enjoyed reading it. Thank you, both, for your kindness and for insightfully sharing this serious ADR, often mislabeled by doctors as an “illness.” Many doctors cannot fathom their own pharmaceutical intervention causes their clients’ avoidable suffering and deaths. But being uninformed, uncaring and/or egotistical should not excuse medical professionals from being held accountable for medical violence and medical manslaughter. My 19 year-old died feeling hopeless because she believed her doctor. The doctor led Natalie to believe she was very ill, so ill that the doctor never provided a specific diagnosis. The doctor’s response to akathisia was to increase the cause of akathisia: She directed Natalie–over the phone–to take more Zoloft. Two days of 200mg of Zoloft and Natalie was dead. I have doctors and medical professionals in my family. I am not anti-drug nor anti-doctor. I am simply pro-humanity: Informed Consent is a fundamental human right. What happened to Natalie is quite similar to what led to my last hospitalization in Ireland, in April 1984. I had been given a first time Long Acting Injection at twice the introductory dose, and released into the community ( – and staff had been warned not to readmit me). But when I presented with Acute Akathisia nursing staff did readmit me. After 24 hours the crisis had abated and I left the next day. I finished with Psychiatry after that. The policy at the University Hospital I attended, was to deny Adverse Drug Reaction at all costs, including life – while producing supportive Research Papers on behalf of the drug Manufacturers.